This tab displays the user's authorizations. 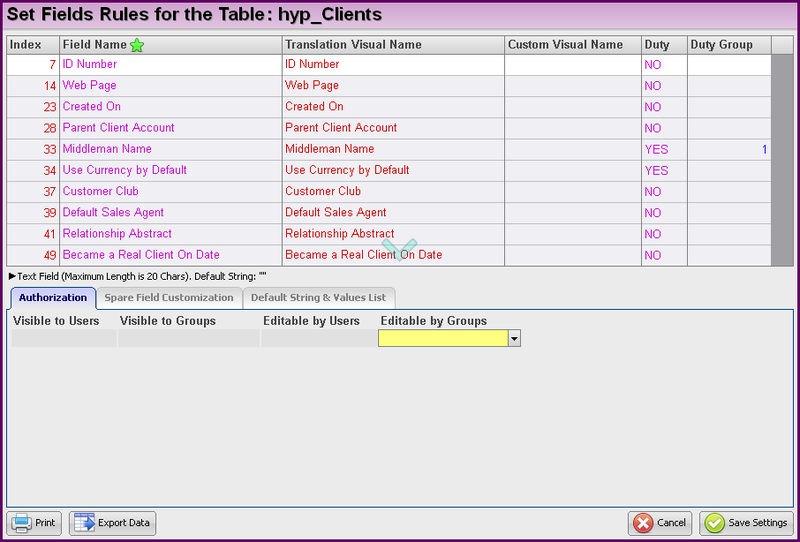 This table displays the customized authorizations for buttons and tabs. Form control The table which the button / tab is related to. Button Name The name of the button / tab, as defined in Hyper. New Caption A customized button / tab name. This table displays the customized authorizations for selected fields. Field Name The field name, as defined in Hyper. Custom Visual Name The customized visual name of the field, as defined be the organization. This table displays the customized filters. Filter Name The name of the customized filter. Main Table The name of the table which this filter refers to. Sorting Level The sorting level of the filter, as defined in the filter's definitions wizard. Notes This field displays the related notes of this filter. 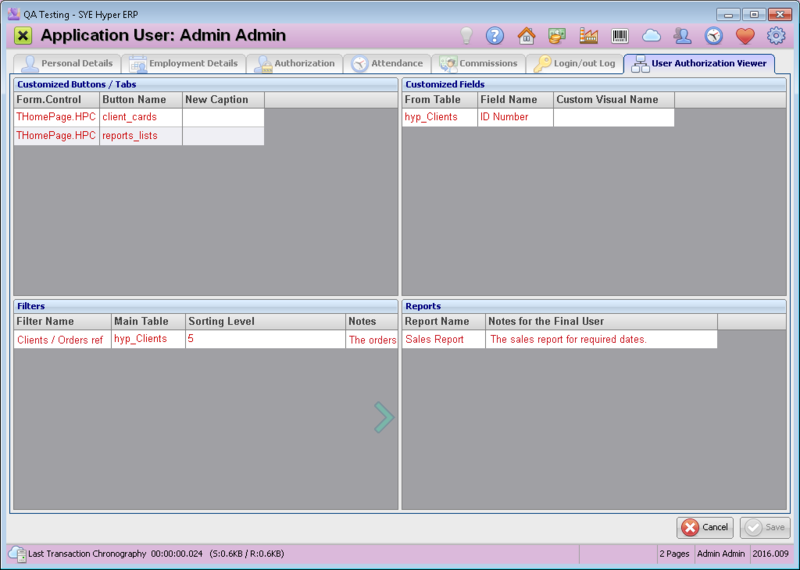 This table displays the the customized reports of the user. Report Name The name of the customized report. Notes for the Final User This field displays the related notes of this report. Hyper allows to define user authorizations for buttons, tabs, fields, filters and reports. Please note - Only users that were defined as "Enabled to Modify System Fundamentals" in the employee card, can define these authorizations for the Hyper users, as described below. In order to define the authorization for a button / tab, right click on the required button to open the "Button Authorization" window. In this window, select the required authorization groups in the "Enabled to Groups" field. Use the "Enabled to Users" fails to define the authorization for selected single users. In order to define the authorization for selected fields, right click on the fields area and choose the Fields Rules option from the menu. In this authorization tab of this window, select the required authorization groups in the "Editable by Groups" and "Visible to Groups" fields. Use the "Editable by Users and "Visible to Users" to define the authorization for selected single users. Press the Save Settings button to confirm the authorizations. In order to define authorizations for selected filters, choose the required filter on the wizard, and press the Edit Filter button. In the "Authorized Groups" field, select the required authorization groups. Use the "Authorized Users" field to define the authorization for selected single users. This option refers to the "Reports & Lists" tab. 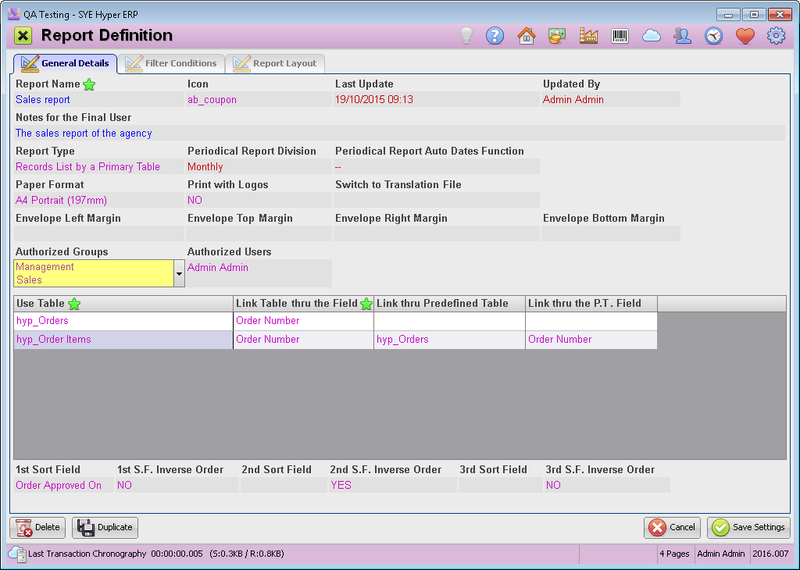 This tab displays the Built-in CRM system reports as well as customized reports. In order to define the authorization for selected reports, choose the required report from the "Dynamic Custom Reports" list and press the Edit Report Structure button. In the "Authorized Groups" and "Authorized User" fields, select the required authorization groups and users for this report. Press the Save Settings button. The Built-in CRM Reports authorizations, should be defined as described above, in the "Button / Tab Authorization" section.